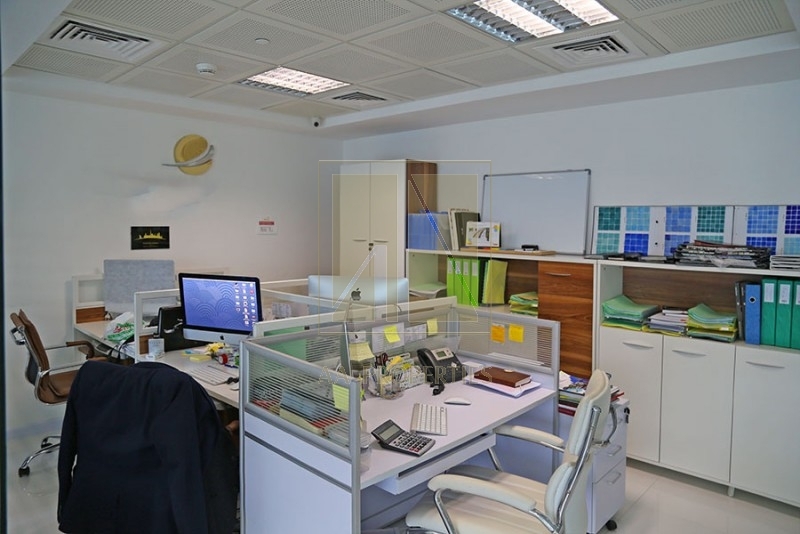 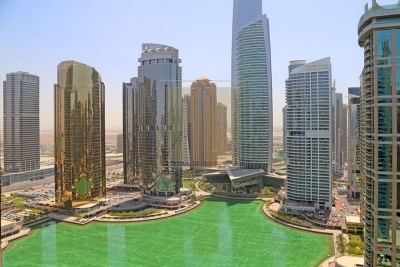 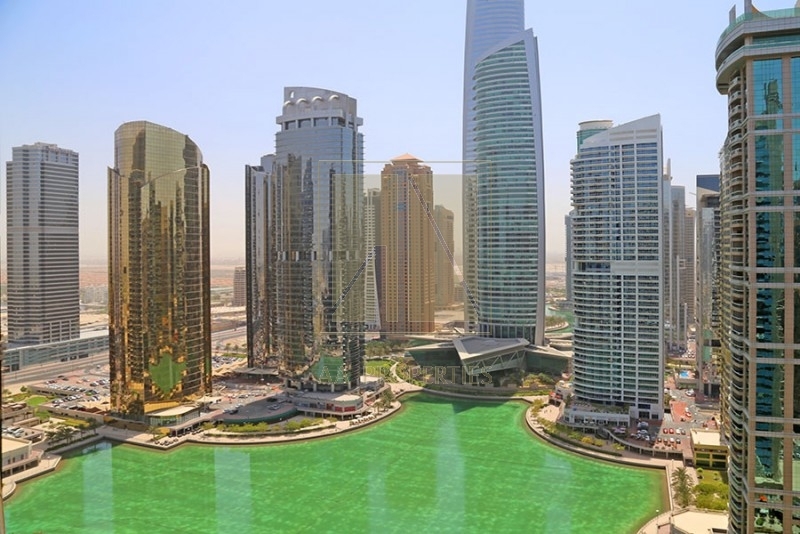 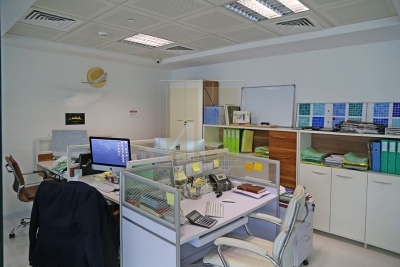 This Amazing office have an interior of the highest class and quality. 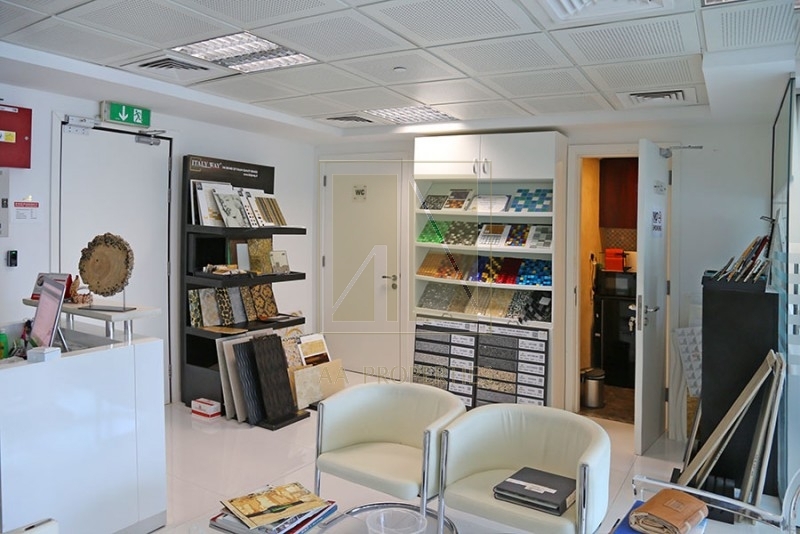 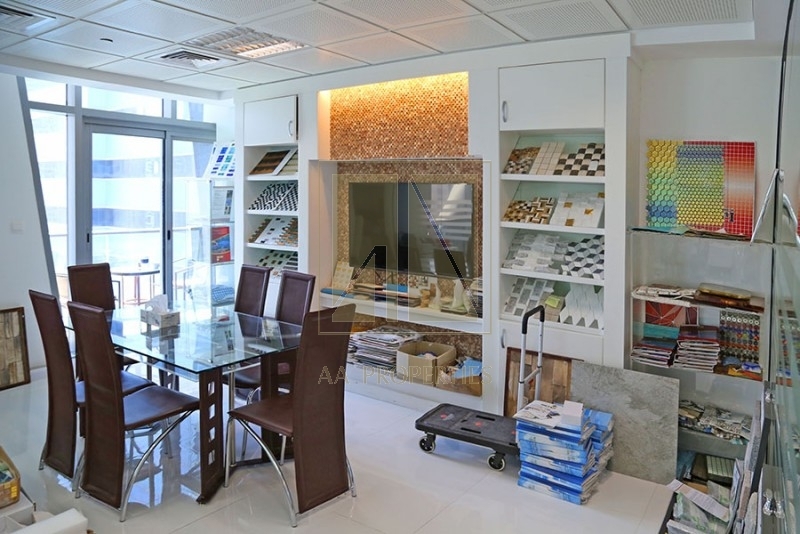 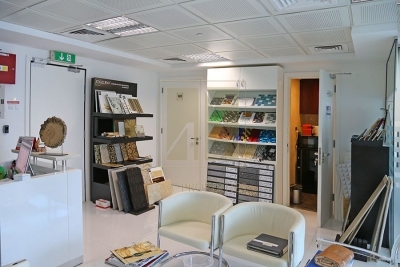 Porcelain tiles and carefully chosen materials on the walls and in the ceiling gives this office a very luxury feeling. 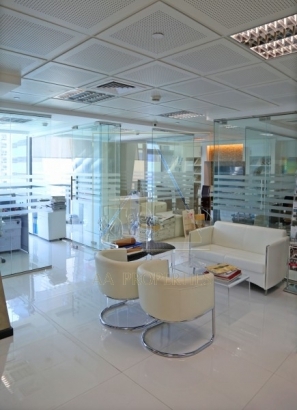 The high end furniture is blending in well with the office, creating an extravagant environment to work in. 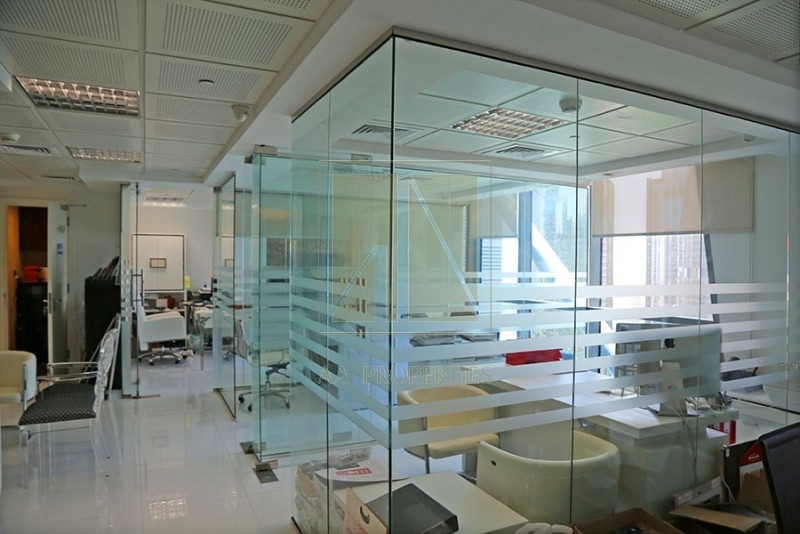 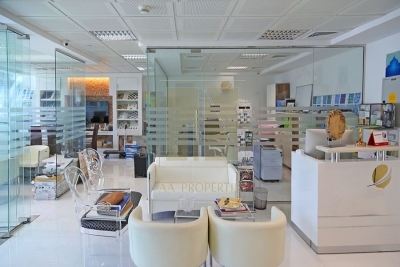 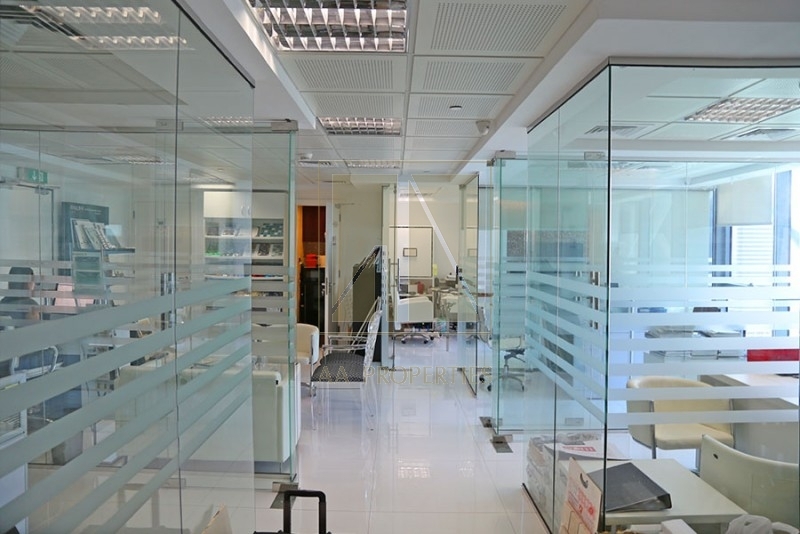 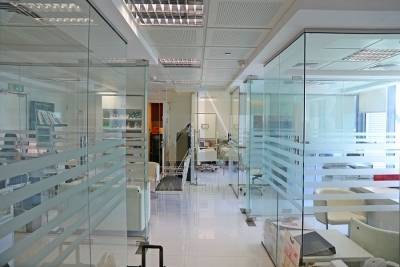 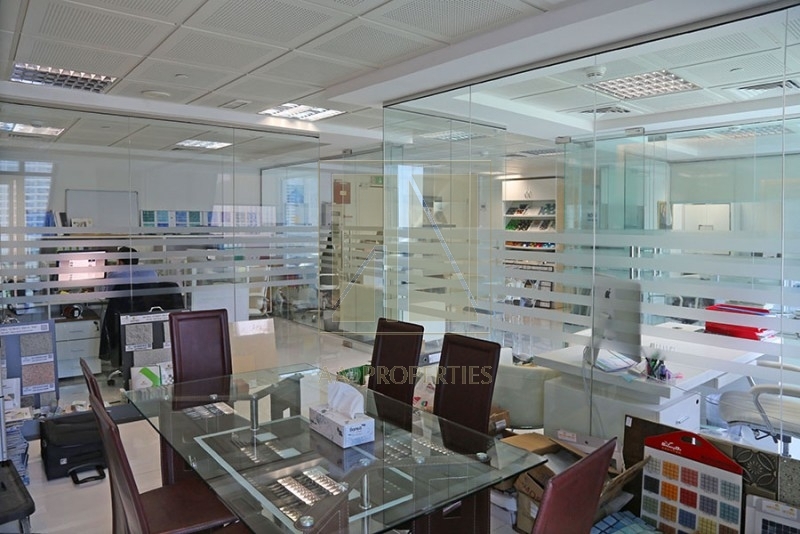 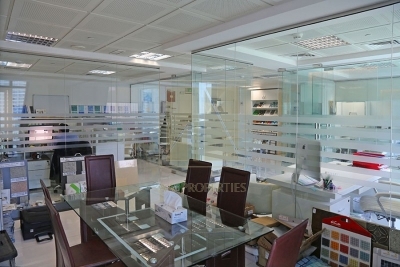 The glass partitions and the panorama windows provides this office with much light and energy.